It’s not as bad as all that. In fact, it’s even worse. 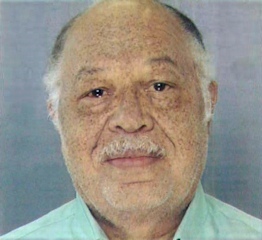 Jury selection is set to begin on Monday for Kermit Gosnell, the Philadelphia abortionist who provided illegal late-term abortions to any woman carrying enough cash, and plea-bargaining appears to be in full swing. Gosnell is being tried for eight counts of murder – one for a woman who died at his hands, and seven counts for infants born alive and then killed. Horrifically, as the Grand Jury Report demonstrates, this is barely the tip of what Gosnell has actually done. Because Gosnell did not keep essentially any medical records, and because he illegally disposed of (or kept only parts of) fetal remains, investigators were unable to come anywhere near determining the actual number of born-alive infants killed by Gosnell and his staff. Reports of the infanticide committed by Gosnell are horrifying – according to the Grand Jury report, women were routinely taken to toilets to birth, the infants left in the latrine. Sometimes, the toilet lines were so clogged with infants’ bodies that the toilets had to be lifted off so the corpses could be removed. The 3801 Lancaster Film Project, a documentary series following the Gosnell case, includes reports of one of the staff members actually playing with one of the babies born alive, before turning the newborn over and severing the spinal cord. Eyewitnesses report that death was often long, with babies “twitching” and “jerking” as they died. Because Gosnell was rarely at the clinic when women birthed, it was not uncommon for babies to remain alive for periods of time – one for at least 20 minutes – before having their spinal cords severed. Investigators found jars of fetal remains – most of them severed feet – stored throughout the “clinic,” along with trash bags full of baby body parts, and infants with gaping wounds at the base of their skulls. Staffers report that the tiny corpses were not uncommonly refrigerated alongside staff lunches. One infant corpse is known to have been frozen in the clinic for months; it had been discovered 12 weeks earlier by a government worker and was still in the freezer at the time the raid was conducted. Ultimately, investigators found seven full, intact corpses, among the bags and jars, of 45 babies and their fetal remains, which are the basis for the seven additional counts of murder. Gosnell is also being charged with a litany of other crimes and violations related to the fact that no emergency medical equipment was in working order, women were drugged with high levels of sedatives to keep them quiet during labor, medication was dispensed and administered by those without a medical degree or any training, Gosnell employed a fifteen-year-old minor to assist with the abortions, and the sanitary conditions were appalling. Medical equipment was bloodstained and rusty, the blankets the women birthed on were washed only once per week, and flea-infested cats were allowed to defecate and urinate freely. What is perhaps the most horrific aspect of this case, however, is what isn’t being said. The conditions women were put in were horrific, undeniably. The fact that Gosnell is known to have forced women to have abortions by drugging them when they began to protest is evil. The reality that patient after patient was sent to the emergency room with perforated bowels, deep sepsis, and a variety of incredible injuries from Gosnell’s attempts at surgical abortions is appalling. So is the fact that virtually no one reported what he or she saw to the proper authorities and that the several reports which were given were quickly buried without a second look. But the most horrific aspect of Kermit Gosnell’s case is what the Grand Jury found to be the real problem. Not the murder of innocent children, but simply the conditions and procedures for carrying it out. The report continually points out that “abortions should be performed or supervised by physicians board-certified in obstetrics and gynecology” and is careful to emphasize that the seven counts of murder for the infants with severed spinal cords arises because these acts were committed after birth. According to the report, it’s also noteworthy that the labor needed for a late-term abortion is very painful and should take place only in a medical facility, where proper pain control can be administered. For the mother. Gosnell is rightly lambasted for using an experimental procedure in 15 women without their consent, but not for the worst part of the procedure. Gosnell used a “super coil” of razors contained in a ball of gel, to abort 15 infants. The ball of gel was inserted into the women, where the gel dissolved, allowing the razors to spring open, slicing the infant to death as it kicked and moved in its mother’s womb. “The problem,” according to the witness relied upon by the Grand Jury, “was that they never tested it. This was not something that was sanctioned by the FDA.” Because had the FDA deemed it safe for the mothers, there would be no problem with subjecting an infant to a torturous death, where every move of the baby’s tiny body results in deep, horrific wounds. One section of the report notes that, in one case where a mother changed her mind and delivered the baby at the hospital, Gosnell defended his actions by saying he had injected the infant’s heart with Digoxin the day before birth to ensure death before the abortion. This is the same procedure LeRoy Carhart used in the recent death of Jennifer Morbelli. The Grand Jury Report deals with Gosnell’s claim that he intended to kill the baby before birth by simply stating that, “however,” there was no evidence that “in fact” the injection had been done, and the little girl instead died during labor. As if the injection, or lack thereof, changes the moral turpitude of killing an infant. Yet as the Grand Jury Report is careful to point out, Digoxin is “supposed to cause fetal demise in utero. But because Gosnell was not skillful enough to successfully administer digoxin, late-term babies continued to be born alive, and he continued to kill them by slitting their necks.” Because if Gosnell had been skillful enough to inject the toxin into a baby’s heart, the infant’s death would be celebrated as choice, not reviled as murder. Even the severing of the spinal cords of newborns with scissors, which staffers testified happened most, if not all, of the time, was clearly differentiated from proper abortion by continuous statements such as “Severing the spinal cord of viable, live babies after they have been delivered is simply murder” (emphasis mine). The report also admits that it is believed that Gosnell killed most, if not all, of the babies aborted after 24 weeks, but it states that charges cannot be brought for most of the cases, because “[i]n order to constitute murder, the act must involve a baby who was born alive.” Since medical records are clearly lacking, and most of the fetal remains were gone, it’s impossible to know which babies died during labor and which ones were killed shortly thereafter – and to the law, that six-inch trip down the birth canal is the difference between choice and murder, between celebrated rights and horror. And that is truly terrifying. The idea that if Gosnell had simply severed those spinal cords before the six-inch journey down the birth canal, or injected these babies’ hearts with neurotoxin first, this would be all right. If only the “jerking” and “twitching” as the infant suffered and died had taken place in utero, humanity would be restored. If only the medical equipment Gosnell used to dismember tiny human beings had not been rusty. If he had just taken care to wash away the blood on the suction tubing before moving on to the next little life. If the women had merely had a doctor who was nicer, and medication administered by someone with the proper licensing. If only those bloody blankets had been washed after each “birth.” If only the severed feet had been disposed of “properly,” instead of kept in jars. Perhaps if Gosnell had had an incinerator, like abortionist George Tiller had, to take care of the tiny mutilated bodies, so that inspectors didn’t have to find frozen corpses – then it would be humane, and decent, and proper medical care. Then it would be a valid choice. Then Gosnell would have been providing a service worth defending. So says the Grand Jury Report. My God – what have we become?